A business woman from Carmarthen has been announced as ‘Mentor of the Year’ in the national Women in Financial Advice Awards. 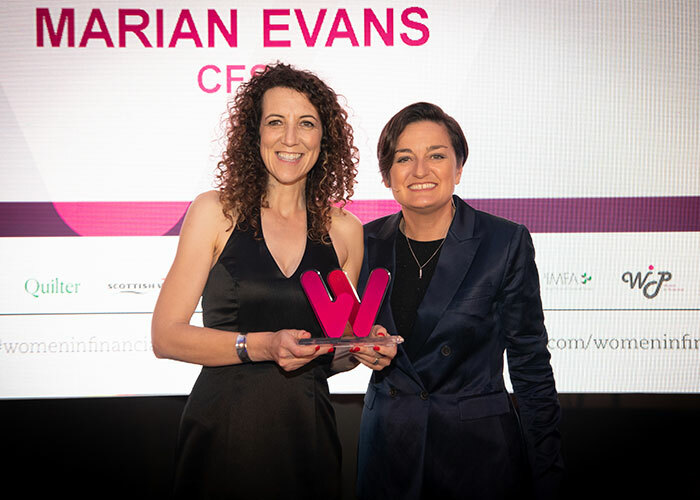 Marian Evans, 40, was shortlisted from more than 800 nominees in the inaugural Women in Financial Advice Awards and beat nine other nominees to secure the prestigious title of Mentor of the Year. The winners were recently announced at a ceremony in London. Marian started her impressive career in financial services at NFU Mutual Insurance Society. After being named as one of the top sales associates in the UK in her first year, Marian went on to become the youngest female sales manager in the country, and by 30 was responsible for a £multimillion book of business. A Chartered Insurer and Chartered Insurance Broker, Marian founded Elevate BC in 2017 which sees her working with leaders within the public and private sectors as an executive coach, mentor, speaker and bespoke training provider. With an impressive list of clients and with a seat on the WomenOnBoards UK Mentoring Panel, Marian is also the volunteer mentor for Steve Cooper who went on to win ‘Start Up of the Year’ at the Business Wales Mentoring Awards in February 2018. For more information about Marian and Elevate BC, visit www.elevatebc.co.uk .